The pivot for anything concerning your health and wellbeing is the Medical Center in the paddock diagonally opposite pit 33 (see map). If you need medical help, you can go there directly. As a rule, participants who have had an accident are also taken there first and the emergency doctors and ambulances are controlled from there, too. 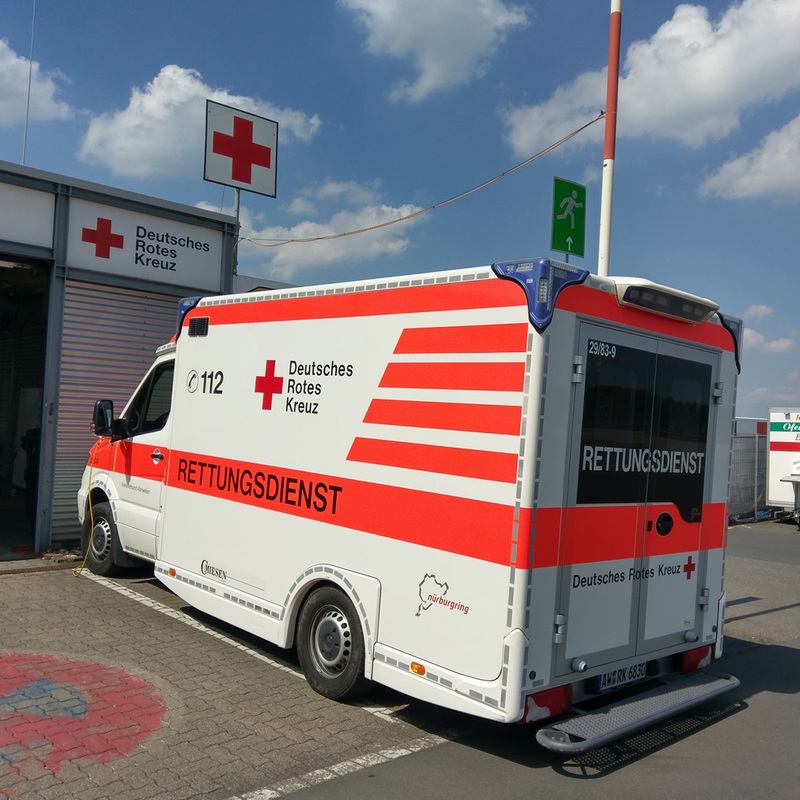 Depending on requirements, the emergency vehicles are placed at different points on the terrain, on the Nordschleife or along the mountain bike route. In addition to the German Red Cross (DRK), the fire brigade and the mountain rescue service are also on duty for the MTB-Marathon. The rescue team of the DRK-Ahrweiler is very experienced in Rad am Ring and knows the Nürburgring inside out anyway. After all, the medical assistants are responsible for everything “big and small” on and around the Nürburgring virtually every day. To report emergencies by phone, please dial +491573/2071386. We recommend saving the number in your mobile phone before the event starts. In addition, one of the rescue helicopters responsible for Rhineland-Palatinate is stationed on the grounds of the Nürburgring. If it takes off, it doesn’t necessarily mean something bad has happened on the Ring, but it does mean that you should be careful, because the helicopter generates a lot of air vortex.